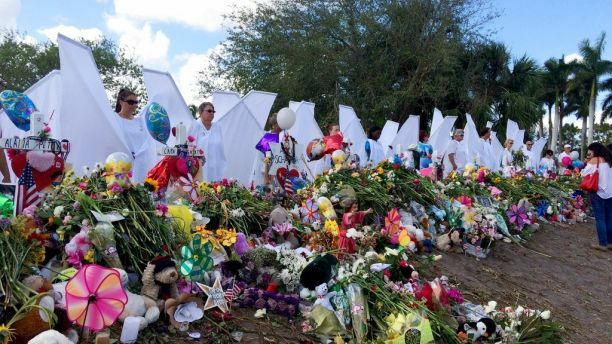 Seventeen people dressed as angels stand Sunday, Feb. 25, 2018, at the memorial outside Marjory Stoneman Douglas High School in Parkland, Fla., for those killed in a shooting on Feb. 14. 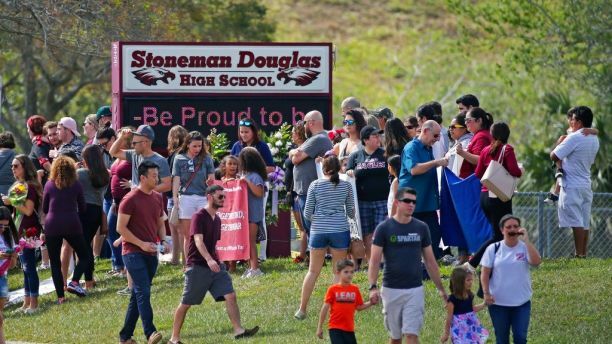 Parents and students arrive at Marjory Stoneman Douglas High School for an open house on Sunday, Feb. 25, 2018, in Parkland, Fla., as parents and students returned to the school for the first time since over a dozen were killed on Feb. 14. 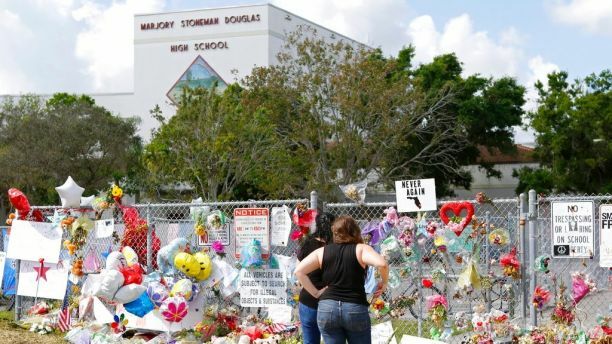 Mourners pay tribute at a memorial for the victims of the shooting at Marjory Stoneman Douglas High School on Sunday, Feb. 25, 2018, in Parkland, Fla.
“I am going to come back strong with my friends and show that we love each other so much and we are going to get through this,” Brown, who was in the building where the shooting took place, said.